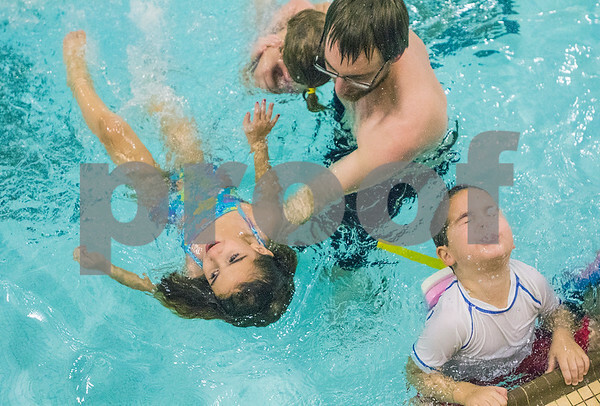 YMCA aquatics coordinator Chris Newquist helps Francesca Biundo (left), 4, float on her back during a swimming lesson while at pre-kindergarten camp at the Kishwaukee Family YMCA on Friday, Dec. 11, 2015. The "No School, No Worries" camp starts on Dec. 21 and also meets on Dec. 22, 23, 28, 29, 30. Pre-kindergarten through eighth grade can be enrolled.